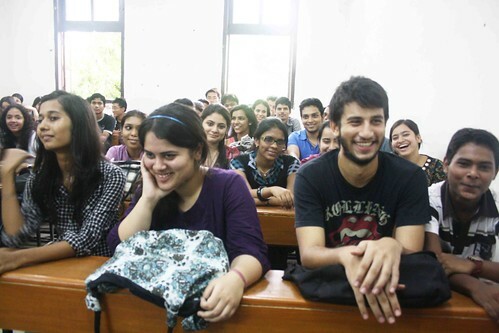 The first day of Delhi University’s new session. 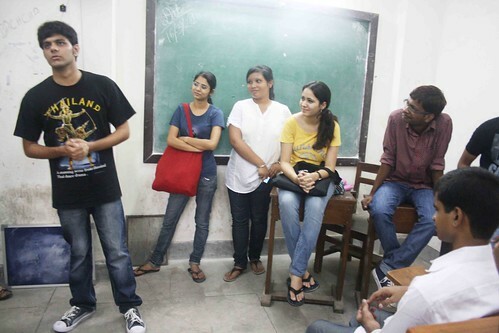 On the morning of July 21, 2010, The Delhi Walla went to Hindu College in Delhi University. It was the first day of the new academic session and I was looking for fuchchas, the DU slang for freshers, or the first year students. I had imagined that it would be easy to make out the new students. Won’t they be looking nervous and slightly intimidated of the college corridors? Won’t they be scared of being ragged by seniors? I was wrong. 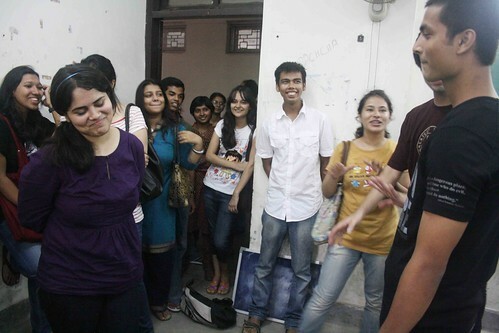 On entering the first year classroom of political science, I found the fuchchas laughing along with the senior students. 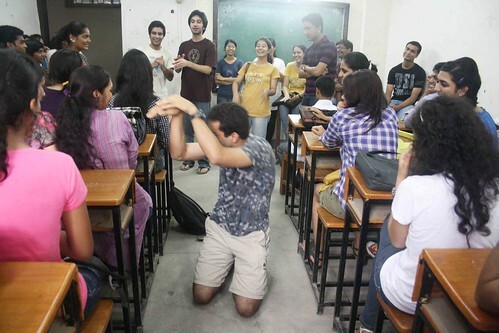 Confident but respectful, the freshers were introducing themselves. 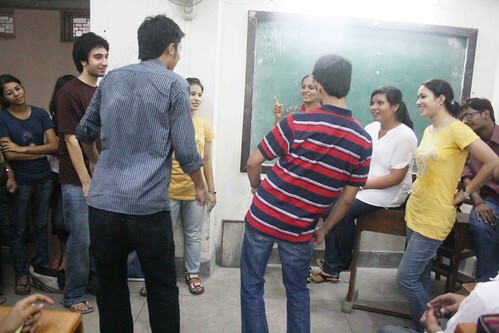 The second year students playfully demanded some harmless amusement in the interaction, the sort they did for their seniors when they were the fuchchas. So, one boy had to sing. One performed a seductive snake dance. One did a stand-up comedy. One proposed a girl. Some were too shy or unwilling. They were not forced to do any act. It was college life at its gentlest. Good luck to the fuchchas. 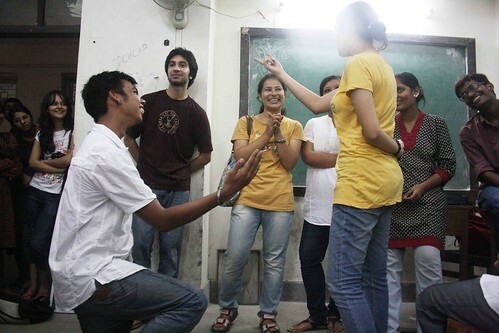 *sigh*…makes me reminisce about my fachcha days…they were quite nice..